Charles Darwin, best known for his theory of evolution which he presented in one of the most important books of all time, On the Origin of Species, explained how populations adapt to their environments over time. In doing so, he laid down the foundation for evolutionary biology as we know it. On The Origin of Species is Darwin’s most famous work, but he also wrote a much lesser known book titled The Expression of the Emotions in Man and Animals, where he claimed that all humans show emotion through similar behaviors. This view is one that psychologists today generally agree with, affirming that certain expressions of emotion are common to all of us, regardless of race, culture, or age. One of these universal facial expressions is a smile. The natural response to happiness is smiling. And according to science, the reverse is also true: smiling can actually create happiness. Recently psychological scientists Tara Kraft and Sarah Pressman conducted experiments to find the link between stress and smiling. They found that when people smiled while completing mundane tasks, they had lower heart rates and stress levels than those who wore a neutral expression throughout their tasks. This effect was especially pronounced for participants who produced a big ear-to-ear smile, known as a Duchenne smile. The experiment led the researchers to conclude that when faced with stressful situations, it may be a good idea to put a smile on your face, if only for a moment, as this lowers stress. Smiling also tricks our brains into believing we are happy, and one way it does this is by making us think of happier memories, which boost our moods. Even though the exact relationship behind facial expression and mental state is largely unknown, it has been suggested that smiling reduces levels of the stress-inducing hormone cortisol. Increased levels of cortisol could potentially lead to cardiovascular disease, mental illness, and obesity, so it’s worth every effort to try to decrease our cortisol levels. Smiling also has a positive impact on the balance of neurotransmitters present in your brain. Neurotransmitters are powerful neurochemicals that are responsible for regulating our physical, mental and cognitive functions such as sleep cycles, pain resistance, weight control and even emotional state. The effect of smiling on neurotransmitters can help stabilize your mood during daily stressful activities ,and help calm your nervous system. When an imbalance in neurotransmitters occurs, it can trigger a range of complications such as obesity, alcoholism, caffeine or nicotine dependency, depression, panic attacks, bipolar disorder, and many other conditions. Therefore, the simple act of smiling can activate neural messaging in your brain that promotes health and happiness. Research shows that when you smile, people treat you differently. Smiling instantly makes you appear more reliable, relaxed, sincere, and attractive. The Face Research Laboratory in Scotland conducted a study by asking a group of men and women to view images of people and rate their attractiveness. The study found that people who smiled more were rated as more attractive than those who avoided eye contact and didn’t smile at all. Perhaps this is why celebrities invest in perfect smiles, often opting for porcelain veneers to give them flawlessly straight, white teeth. 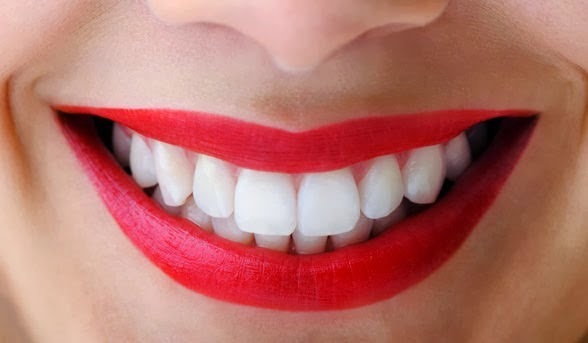 According to a cosmetic dentistry practice in Boston, broken and stained teeth can make a person look older, while a brighter smile gives a look of health and youthfulness. Anyone you spot on television will more likely than not have a perfect smile. This gives them a youthful glow while simultaneously making them look more attractive. When it comes to happiness, children clearly have an advantage over adults—they smile 400 times a day on average, as compared to 20 times a day for adults. If you find it hard to smile, try being around people who tend to smile a lot. According to a Swedish study, it is difficult to keep a straight face when constantly faced with people who are smiling at you. So not only does smiling reward our brain’s feel-good system, it also makes us look more attractive and lowers stress levels. In stressful situations, smiling is a great way to temper extreme levels of stress and to keep your cortisol levels under control. Smiling is an act that many of us may have to practice in order to make a regular habit. However, it’s a habit worth investing in, as smiling, happiness, and health have a scientifically proven link to one other.